Centaurea solstitialis (yellow starthistle) is a bushy winter annual (family Asteraceae) that invades 12 million acres in California. Yellow starthistle inhabits open hills, grasslands, open woodlands, fields, roadsides, and rangelands, and it is considered one of the most serious rangeland weeds in the state. It propagates rapidly by seed, and a large plant can produce nearly 75,000 seeds. Several insects from the Mediterranean region, including weevils and flies, have been employed as biocontrol agents for yellow starthistle with minor success. 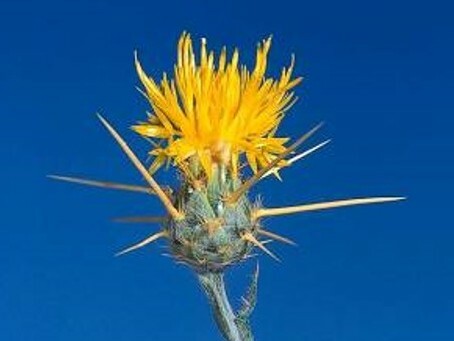 Yellow Starthistle Management Guide - Provides a comprehensive overview of treatment methods for yellow starthistle, including each method's advantages and disadvantages, timing, and best fit in a strategic management plan.